Ultra Premium ETFE laminate - most flexible panels are produced using a cheap PET laminate, the same sort or plastic type layer used to make water bottles, ever seen what happens to a water bottle left in the sun?? PET discolours and breaks down, reducing the ability of the sun to reach your cells. ETFE is designed to withstand the harsh UV rays ensuring your cells can perform at their peak for years to come - UV stable for 25 years. 22.6% cell efficiency - the more efficient a cell works, the more power is produced per square meter of space. This means that for the physical size of the panel, you wont find a panel which produces more power than these. 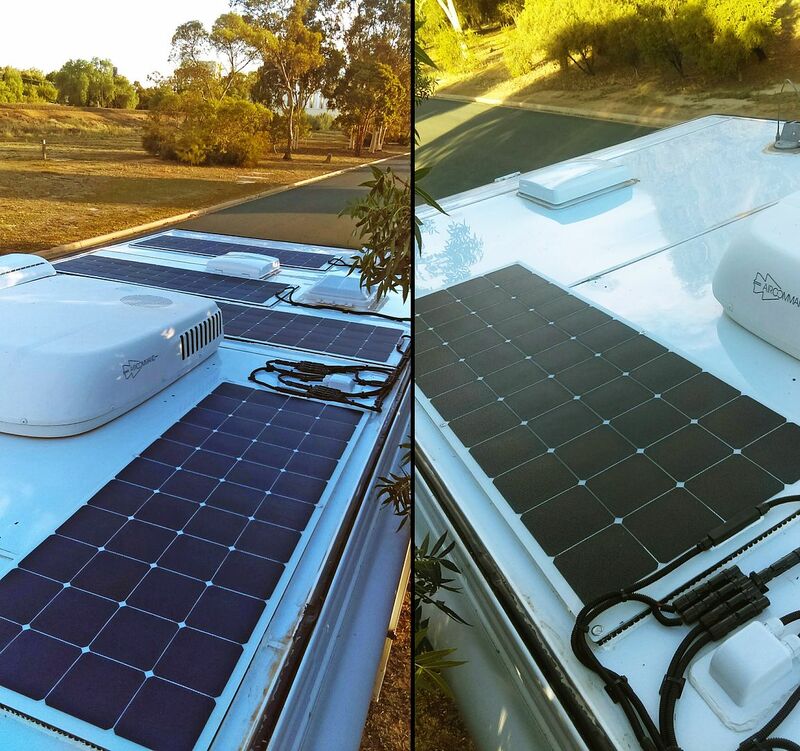 2 bypass diodes - should your panel end up in heavy shade (maybe if you leave camp for the day), the dual bypass diodes will ensure the cells continue to work to their optimum levels, with each side of the panel working independently. SunPower cells are also leaders in shade tolerance, meaning your panels will work even in partial shade. Don't just take our word for it though, check out this independent testing video comparison from SunPower or google Sunpower cells shading. Light weight (2.2kg) alternative to rigid, glass panels, and are perfect for use on the roof of caravans, campers and roof top tents where weight is always a concern for most vehicles. Not sure how to secure them? Drop us a line for installation advice. Infra-red IR Android Dongle (LPLI) - connect via Infra-red. For use with Android devices in conjunction with the EPEver App (Li). Ideal for those changing settings infrequently. eBox BLE-01 (BP) - connect via Bluetooth. For use with Android or Apple devices in conjunction with the EPEver App (Wifi). Ideal for those who prefer to view/change settings via their phone. 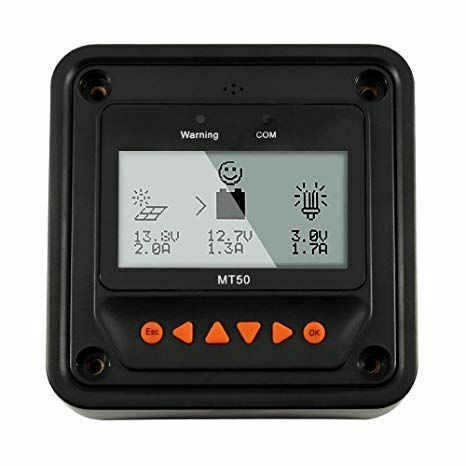 MT50 Remote Meter (BP) - hard wired monitor allowing changes to settings and monitoring on screen. Ideal for those who prefer a permanent connection to monitor settings easily. Not sure which Tracer controller you need? Drop us a line, we're happy to chat about a set up to suit your personal needs. 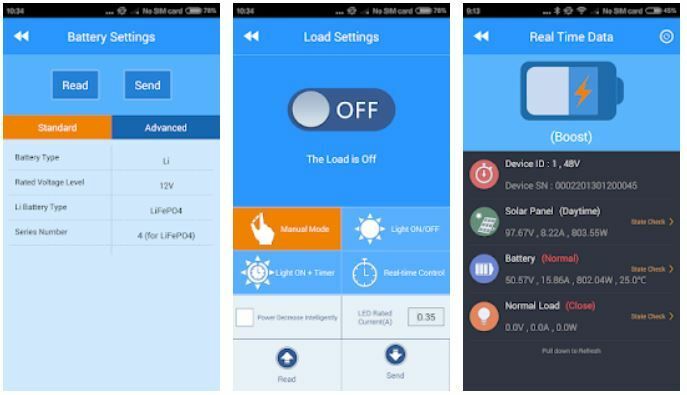 You also have the option of Victron Smartsolar 100V/30A MPPT Solar controller or 100V/50A MPPT Solar controller, or if you want the ultimate charging system you can add the Enerdrive EN3DC40+ DC to DC Charger to charge from Alternator and Solar. OFFROAD LIVING IS AN AUTHORISED STOCKIST FOR ENERDRIVE, REDARC, PROJECTA, BLUE SEAS AND VICTRON for package deals - contact us to discuss your needs.